Energy is a critical input into the production and consumption patterns that support economic and social wellbeing. However, many forms of energy use contribute to the environmental and climate challenges societies face today. Taxation is a key tool by which governments can influence energy use to contain its environmental impacts. 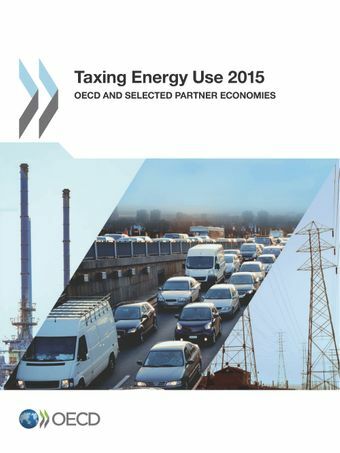 This report provides a systematic analysis of the structure and level of energy taxes in OECD and selected other countries; together, they cover 80% of global energy use.This report builds on the 2013 edition of Taxing Energy Use, expanding the geographic coverage of the 2013 data set to include Argentina, Brazil, China, India, Indonesia, Russia and South Africa. The report describes energy use, taxation and pricing in these countries and presents detailed graphical profiles of the structure of energy use and taxation for each.The analysis reveals large differences in the taxation of energy across countries, although common patterns emerge. Transport taxes are considerably higher than in other sectors, where fuels that cause considerable harm for the environment and human health are often taxed at very low – or zero – rates. With few exceptions, countries' energy taxes do not harness the full power of taxes to reduce pollution and combat climate change.